I have finally made a start on sewing up the new pyjamas for Argy. As I make up the little pull-on pyjama pants, I thank goodness for simple elasticised waists. Easy to sew and comfy to wear. Its a very effective suspender. Its the humble polymer, elastic. And definitely the original length. (Length: 100 percent less eight). Lest your undies hit the floor. Is that the world's first Ode to Elastic? I have a whole stash of elastics as I would hate to run out at the end of a project. My fav would be the non-roll elastics that I get from my local sewing machine shop. Much better than those from Spotlight. You are very very clever and very very funny. The other thing with elastic? Buy at least twice as much as you think you need. Because you always need more. ahh the humble elastic...a fav of mine too. I am partial to FOE, especially with scalloped edges :) The ode was very funny! I love, love, love your poem. It's the bomb!! Very clever! You're a crack up! Yes, I'm sure it's the first Ode to elastic in the world! Yep, you crack me up too! Who would have thought to write a poem about humble elastic? no more weariness at your place then...that's fant(el)astic! Too funny, I never thought about elastic that way, but it is so true. That's a killer last line! A definite LOL. I second you on that... elastic is totally where it's at!!! 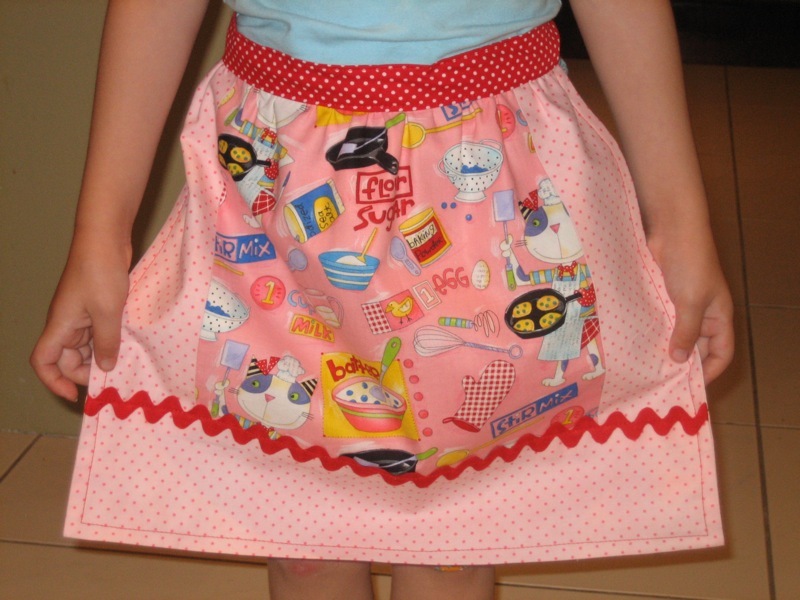 Ahh yes there is much elastic in our house - the easiest skirt in the world to make! Love the poem! Hoppo Bumpo you're a star! tee hee~ i never really think of how brilliant elastic is! You're just ever the creative, aren't you ? Her figure was fantastic ! You can't trust Cole's elastic ! Hurrah!!! I bought some elastic for my Bug's shorts the other day, and it has a drawstring inside. Yes!- that means I can make long trousers this year and adjust the elastic so he can wear them as shorts next year. Yay for elastic and lazy mums! Brilliant! Truly Brilliant!! And not only that, I also learnt a few tips for choosing and using elastic!